I try and visit Sonoma’s Cornerstone Gardens as often as I can, with their ever-changing garden installations. I’ve written about them in the past, but on this trip I was particularly captivated by a few of the fences that surround some of the gardens. This one, for example, is a simple wire fence with eucalyptus leaves stapled to it. While you might think it would disintegrate in a season or two, here in California its lasted several years. Sometimes all that’s needed is a few slats of wood to suggest a fence. While it may not keep your dog confined to your garden, it’s enough to give the illusion of a wall to help define a space, creating a feeling of intimacy. This is such a simple idea, yet one that I’ve never seen before. It’s so basic, yet so beautiful – rebar against wooden stakes with large twigs and branches. This fence is created by designers Kate and Ben Frey. I absolutely love how they used a traditional boring fence as the backdrop, placed rusty wire in the front and filled it with dried grasses. So simple, anyone could do it! Those are ingenious and lovely fences. I particularly like the rebar against wooden stakes. It could be an interesting backdrop to a rustic patio. Thanks for sharing. I love to see what other gardeners have designed for their garden. The eucalyptus leaves reminded me of my Cambria bathroom curtains, which were Eucalyptus citriodora. They not only provided privacy, but their scent was wonderful. Too often we think of only permanent fencing solutions, but I LOVE these playful ones. I love the slats of wood that make up the fence – what a simple idea and it looks great!!! The stapled euc leaves are very unusual. love all those fences. the idea of just suggesting a fence is so wise! i’ve tucked away the name cornerstone for our next visit to sonoma! hope it’s SOON! Janine – you will LOVE Cornerstone whenever you make it up our way. I wish they’d do another ‘Late Show’ event – maybe next year? The third picture….they used to build corrals that way in the west. 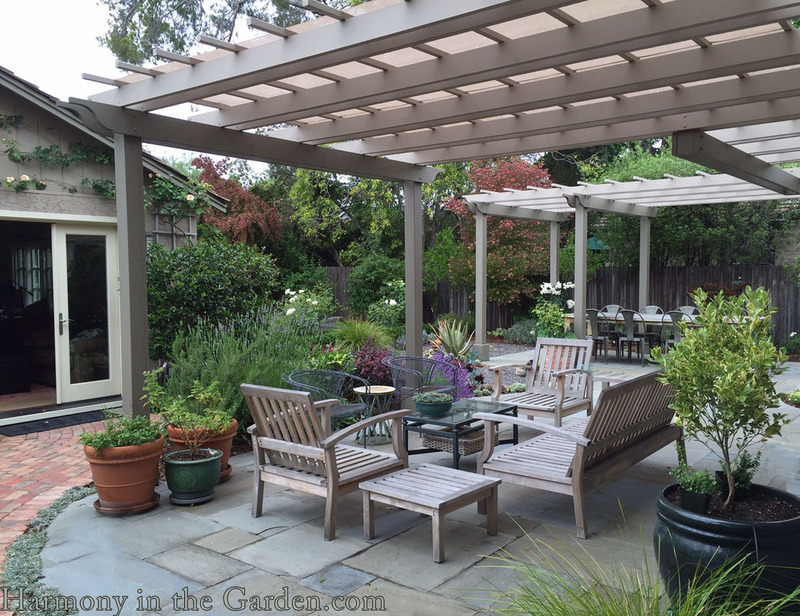 Of course, larger branches but the same idea with the stakes….not necessarily rebar but the same idea. Joani – isn’t it funny how ‘whats old again is new again’? I love that simplified look! I really like the second set of fence pictures–the “illusional” fence. It’s a very simple design that gives a nice effect. Thanks for sharing!